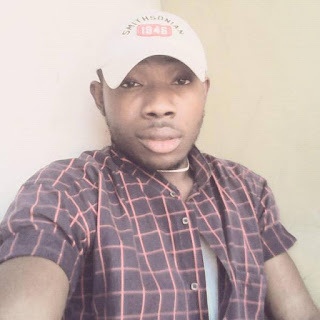 A teenager house help, Dare Kundare, who was arrested for stealing his employer’s N350, 000, has attributed his involvement in crime to his father’s sudden death. Preliminary investigation after Kundare’s arrest revealed that the suspect had applied for many jobs with fictitious names and eventually got one with such a name. The fake name, City News gathered, enabled him to initially escape after the crime, but he later resurfaced when he thought the dust had settled. The suspect blamed his indulgence in stealing on the death of his father at an early stage, stressing that the responsibility of catering for his four siblings and his mother thereafter fell on his shoulder. Kundare said: “My first visit to Nigeria was in 2010 when I was barely 13 years. There is an agent in my country who has his representative here in Nigeria. Whenever anyone wants to come to Nigeria, he will contact the agent over there, who will in turn contact his representative in Nigeria, who in turn contact and link us to any family that needs domestic workers. We pay N15,000 as transport to come to Nigeria. “The first time I came, I worked in a farmland at Ilaro, Ogun State as a farmer. I was paid N8,000 monthly. I went back to my country in 2012, after I managed to save N30,000, part of which I gave to my mother to boost her vegetable trade. He stated further that when he got to Benin Republic, some friends and relatives began to worry him to build a house for his mother and siblings since his father could not actualize the dream. At that point, he said he was brought back to Lagos by one Iya Ajuwon, after paying the usual N15,000. This time around, he worked with one Daisy family in Ojota as a cook. The work, he said, started well until he met one Sunday, a fellow Beninoise, who, according to him, sold the idea of robbing his boss to him. He disclosed that his share from the loot was N100,000 and the laptop, and that Sunday also collected N100,000, while Abe took N150,000, as the eldest of the three. Asked what he used the money for, Kundare replied he spent part of it on his building project. The Nigerian police, collaborating with the international police (INTERPOL) trailed the suspect to his village where he was arrested. The police were only able to recover the sum of N20,000 from him, while his partners in crime escaped. He was released on bail, with a promise he would pay the balance of the money to the police in Benin Republic who would hand it over to their counterparts in Nigeria. But rather than keep to his promise of paying the money on monthly basis, Kundare was said to have bolted to Nigeria, January 2016, where he changed his name to Matthew Ogundare. He had been employed again by another family at Isolo, Lagos, when policemen, acting on a tip-off, swooped on him. The case has been transferred to the State Criminal Intelligence and Investigation Department (SCIID), Yaba, where efforts to arrest his accomplices, Sunday and Abe are ongoing.